If you recently have gotten your own IPhone or IPod Touch here is a cool way to organize all the apps on your device. Next you get the apps you want to organize and put one on top of the other. What should happen is those two apps will go inside a folder. In this folder you can add, remove apps, or even rename it to whatever you want. 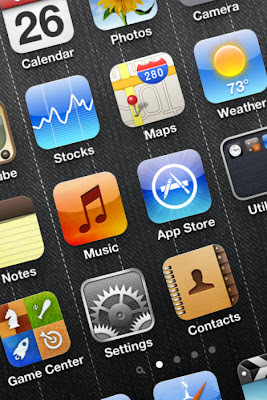 You can have an unlimited amount of folders so you can always keep your IPhone or IPod Touch nice and tidy. Do you know of any other way to organize your apps? What did you think of my video ? Just recently got iphone 4.. What a nice video here to manage your apps.. thanks! Oh dude! Eddddddddd I have a Galaxy S! I am thinking of getting the iPhone 4 next month, yeah I am among the last to hop on the tech trend. This tutorial will come in handy for me, thanks for making it easy to understand, Edwin. Same here Paul, I just got my iPod touch. If you want I can make some more tutorials on this subject in the future? Great post, Edwin. I don't have an iPhone or iPod touch, but I can see how this info is useful. And if I ever do get one (which I plan on! ), I'll come back here for sure. Hey Tristan, thanks for the comment. Tell me when you get your iPod so I can make more awesome tutorials. I have an iPhone 4 but other than making calls and sorting mails I’ve actually still not explored all the apps. Unlimited amount of folders is an attractive feature and for this reason I felt drawn to your post Edwin.